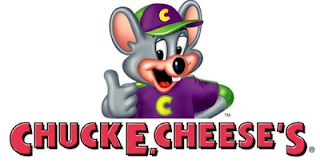 This is a sponsored post for Chuck E. Cheese's. All opinions are mine. It's hard to believe that it is August and there are only a few weeks of summer left until school starts! 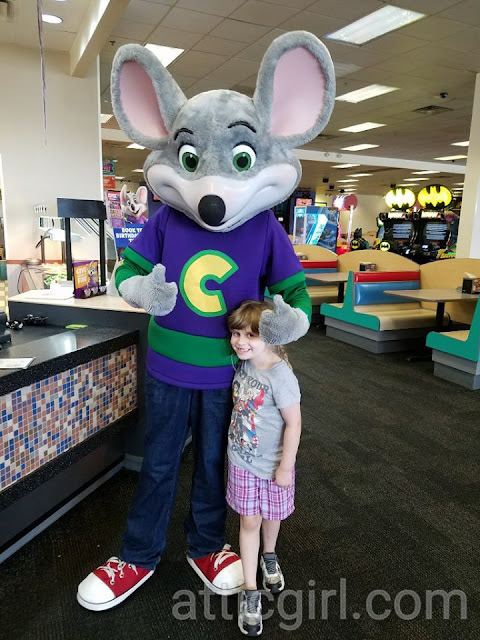 If you're trying to squeeze in more summer fun, you (and your kids) will be excited to hear about this great deal from Chuck E. Cheese's for the month of August. Chuck E. Cheese's is one of our favorite places to play together as a family. 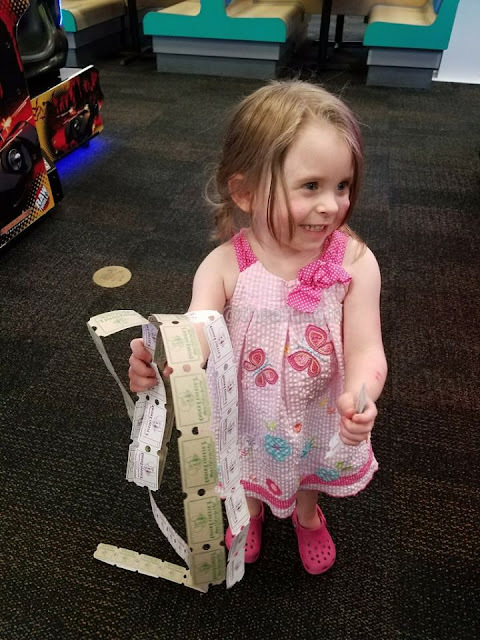 My two girls love the food, games, tickets for prizes, and seeing Chuck E. Cheese! 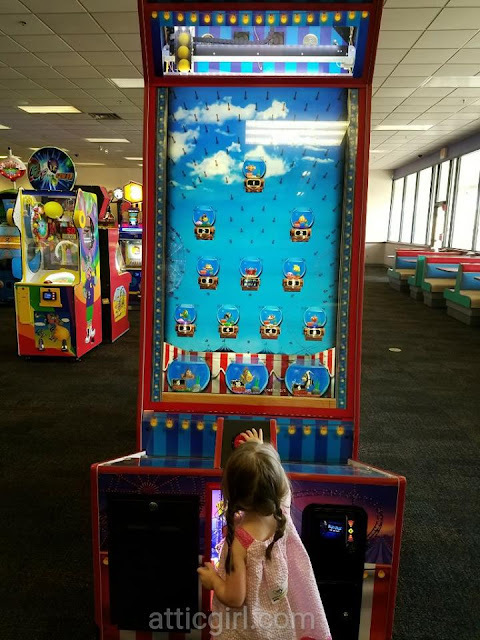 Whether you're celebrating a summer birthday, or just want to beat the heat and burn off some energy, Chuck E. Cheese's is the perfect place. 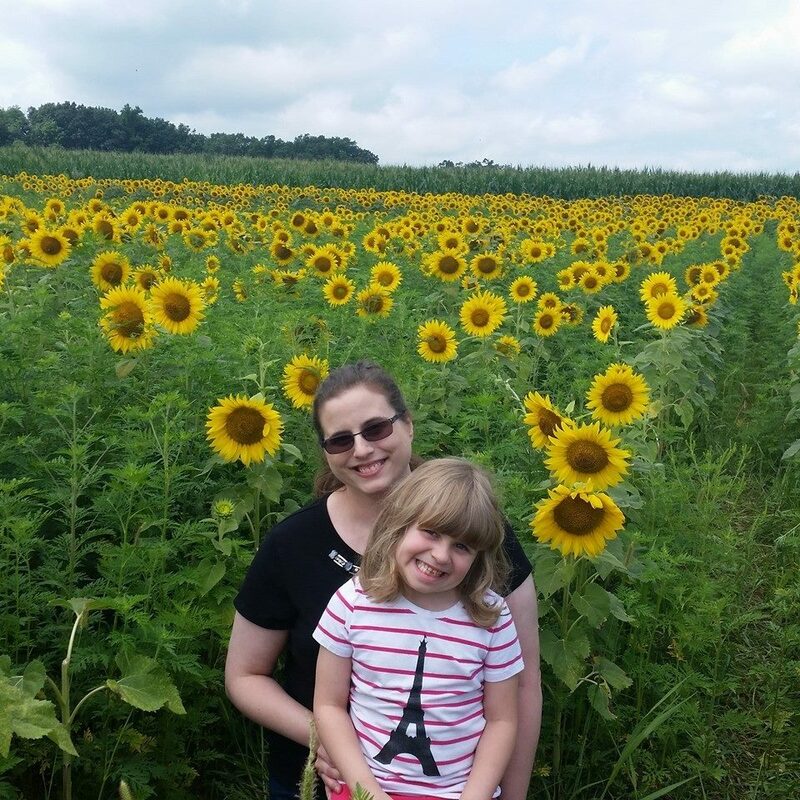 This is a deal that moms, dads, grandparents, aunts, uncles, babysitters and kids will love! 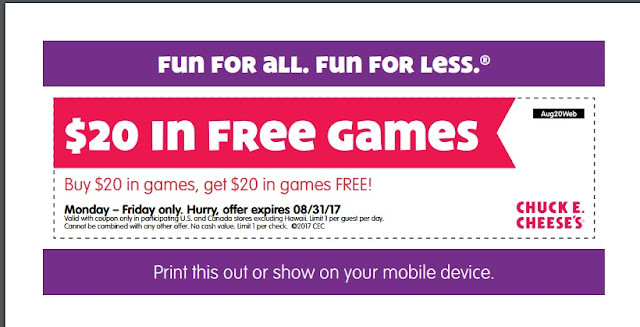 Take advantage of these fun savings and stop into Chuck E. Cheese's today.